The Ravens are a group of pilots from our nation's western states who fly their RV airplanes in formation at air shows and various other aviation events. We adhere to strict formation flying standards that were originally developed by the military, and fly with a degree of discipline and precision that rivals any other realm of civilian aviation. Our performance is a demonstration of skill and dedication to the art of formation flying. We fly custom-built "RV" airplanes such as the RV-4, RV-6, RV-7, and RV-8. Our airplanes are powerful and highly maneuverable, which lends itself well to formation flying. Many of us built our own airplanes in our garages and hangars (read our pilot bios for details). We have a tremendous sense of pride in this accomplishment, and this pride is also evident in the way we fly together. In all of our routines you will see symmetry, precision, and grace. Our pilots have flown air show routines at many west coast airshows, such as the California Capital Airshow, Golden West, Aviation Nation at Nellis AFB, Cable, Catalina, Hillsboro, and Los Angeles County. We are honored to have performed along with acts such as the Thunderbirds and Blue Angels. Check our events page for more info. 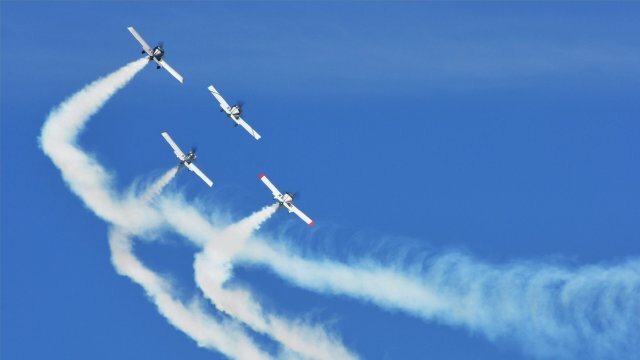 When a distinguished aviator passes away, a wonderful way to honor them is the Missing Man formation. 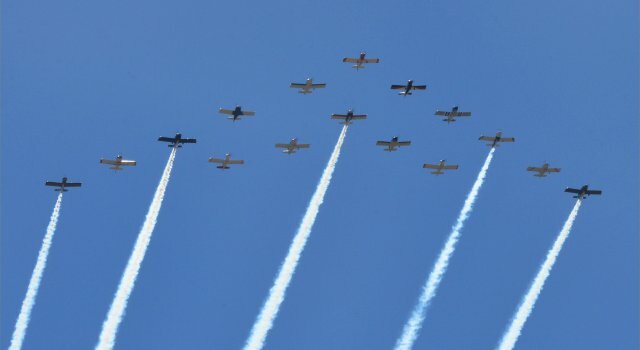 This is a four-ship formation fly-over in which one pilot pulls up and out of the formation, leaving a symbolic empty slot in honor of the "missing man." We have flown numerous Missing Man memorial services. While it is a solemn experience, it can be incredibly emotional and moving for the family and loved ones who wish to honor those who have passed on. The Ravens have flown formation demonstrations at various aviation-related events, such as the world record-setting 50-ship formation over the 2014 NASCAR Phoenix 50th Anniversary race, a 49-ship formation over the Kansas City Chiefs/49ers game in 2013 and the 50th Anniversary of Vans aircraft at EAA AirVenture at Oshkosh. We also were featured in the 2011 season finale of the TV show, "Mythbusters." If you are coordinating an event and would like the Ravens to perform, please contact us for scheduling. Every one of our pilots was a formation novice once. Even our military-trained pilots had to adapt to the rigor and precision of airshow formation maneuvering flight. 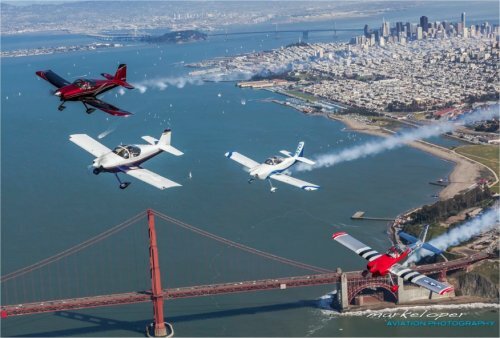 If you have an RV aircraft and are interested in getting involved in formation flying, please visit www.rvformation.com. There you will find links to training documentation, civilian formation standards and online communities that support formation flying and training.